Coconut lovers, listen up! According to the U.N. Food and Agriculture Organization (FAO), more than 60 million metric tons of coconuts are produced every year for water, oil, milk, butter…and the list goes on. Now, CAPTAIN MORGAN is taking some of those coconuts and turning them into a delicious new shot, just in time for summer. Introducing CAPTAIN MORGAN LocoNut, an insanely delicious shot made with Caribbean rum, coconut liqueur, spice and natural flavors. Today, we raise a shot glass to those versatile coconuts, and to you, you loco coconut lovers. 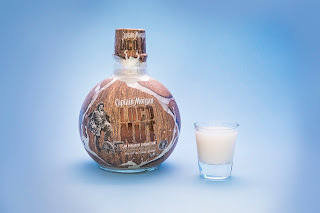 After blasting into the shots category with CAPTAIN MORGAN Cannon Blast, CAPTAIN MORGAN LocoNut is shaking things up with its new coconut-flavored shot which comes in a coconutshaped bottle, smells like a coconut and yeah, you guessed it, tastes like a coconut. It’s the perfect shot to enjoy responsibly with friends, co-workers, bro-conuts, fun in-laws, very friendly strangers and of course, coconut lovers over the age of 21. LocoNut (40 proof, 20% ABV) has a suggested retail price of $14.99 for a 750 ml bottle, and it’s coming to a store (and a beach) near you. 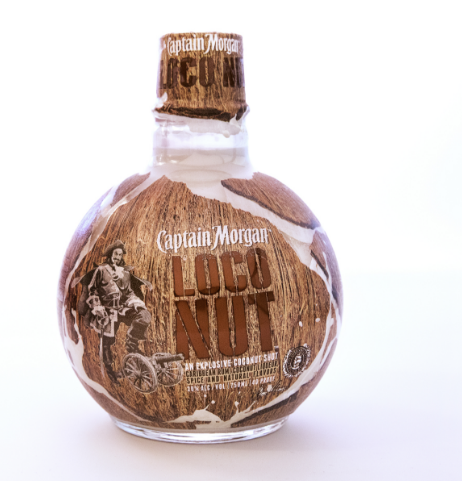 And, just when you thought this shot couldn’t get any more loco, we’re proud to announce that CAPTAIN MORGAN LocoNut is gluten-free! Loco & Coco 3 oz. CAPTAIN MORGAN LocoNut Coconut Shot 4 oz. Coconut Water Directions: Combine CAPTAIN MORGAN LocoNut with coconut water and serve over ice. Captain & Loco 2 oz. CAPTAIN MORGAN LocoNut Coconut Shot 0.5 oz. 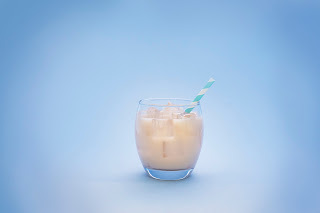 CAPTAIN MORGAN Original Spiced Rum Directions: Combine CAPTAIN MORGAN LocoNut and CAPTAIN MORGAN Original Spiced Rum and serve over ice. Drink Responsibly. Captain’s Orders. To learn more about CAPTAIN MORGAN follow us on socialmedia on Instagram (@CaptainMorganUSA), Twitter (@CaptainMorganUS) and like us onFacebook (@CaptainMorganUSA).